New design, very simple, and strong! Our new SIMPLE hub threads on like a nut, but gives scale looks! Each hub has 7mm long of M4 thread inside, all contained inside the hub with no removable parts or extra nuts buried inside. Just a simple, straight, solid machined aluminum nut with great scale looks. 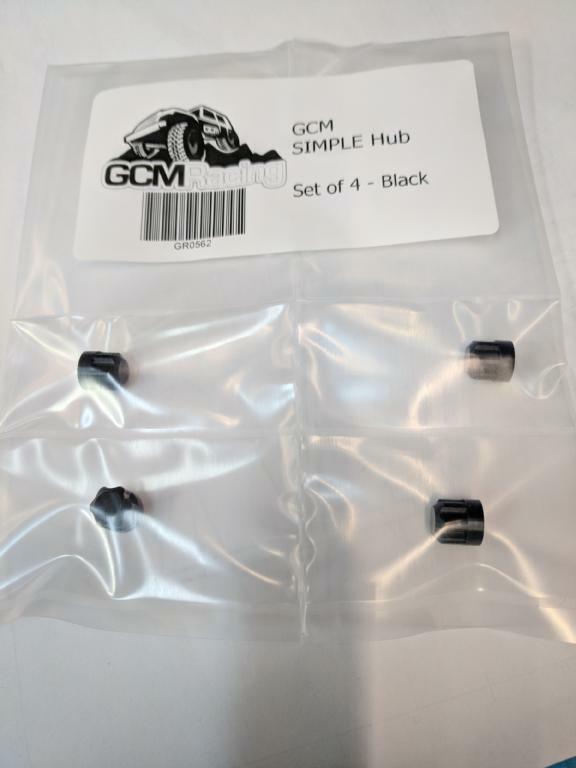 These tiny hubs are only 9mm around, and only 9mm tall in total. 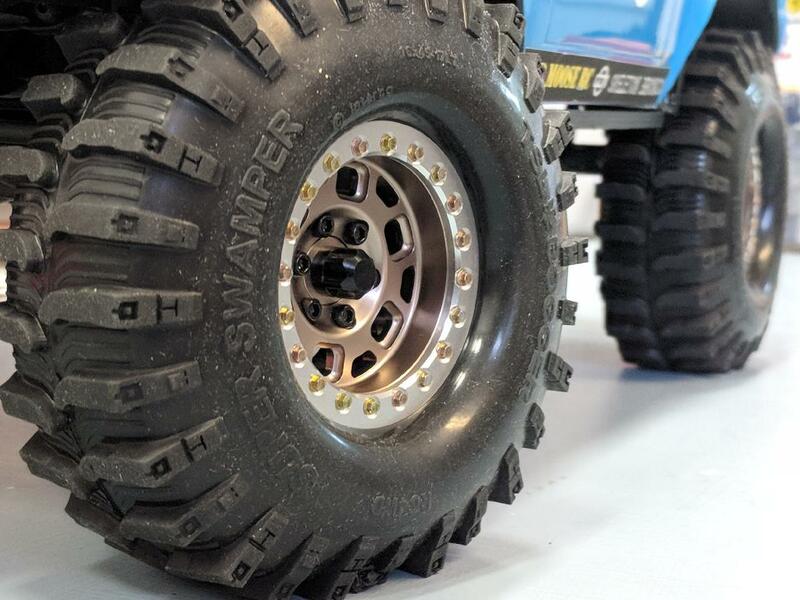 You can crank these nuts on to your axles with a simple 5/16 or 8mm regular socket and hand driver, no problem, and if you have any concern, use some Blue LockTite Gel for a bonding agent to keep them tight for the long trails ahead. 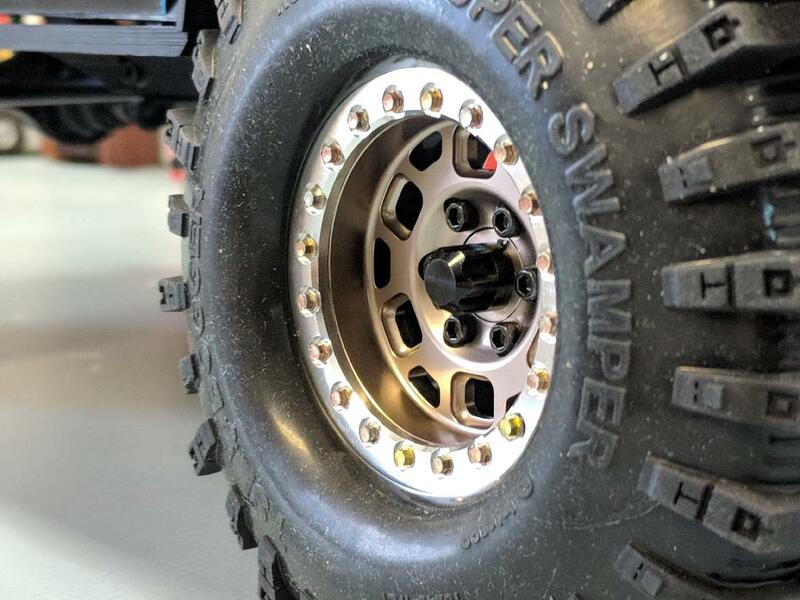 Each kit includes 4 hubs: a left and right for the front and rear.